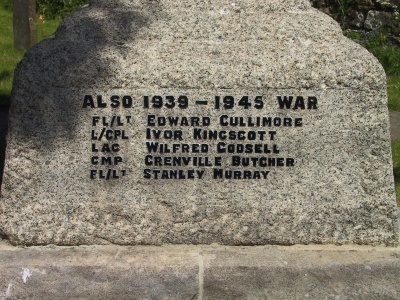 The War Memorial, just inside the gates of St. Andrew's Church. 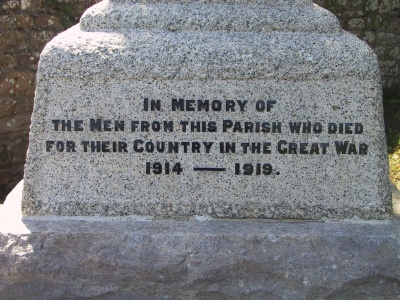 In memory of the men from this parish who died for their country in the Great War 1914-1919. 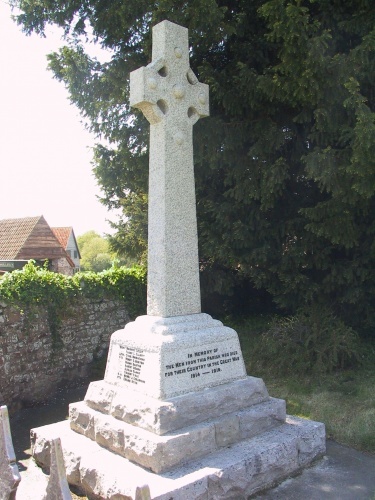 For the anniversary of one hundred years since the Armistice in 2018, local historian David Wicks gave a talk to the Parish Council about the Cromhall men who gave their lives in service in WWI and are remembered on the war memorial. 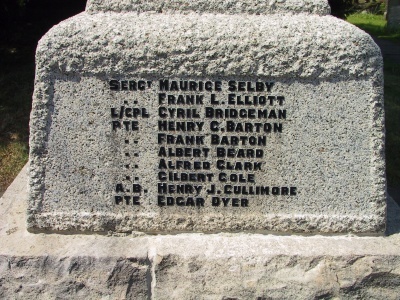 David says: "You will find the stories fascinating; men and probably women, from Cromhall served on every front from Ypres in 1914, Mons, The Somme, The Dardanelles, Salonica and Kut as well as a sailor who died in an accident on the Danube in 1919, so from the beginning until the official end. Twenty died but for those who survived it must have left many wounds. It was a high price for a small village. 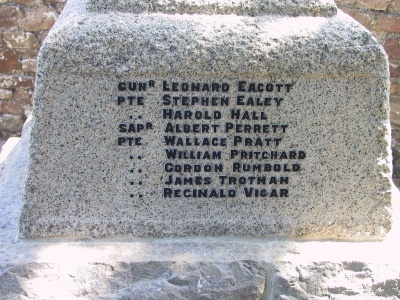 I know there were others who nursed and one who was a sailor at the battle of Jutland and survived but someone else might like to research them."